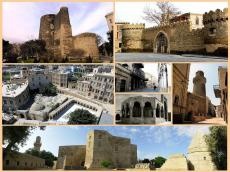 State Tourism Agency of Azerbaijan has announced April 18 as the open day at historical and cultural reserves of Azerbaijan on the occasion of the International Day for Monuments and Sites also known as World Heritage Day. World Heritage Day is an international observance held on April 18 each year around the world with different types of activities, including visits to monuments and heritage sites, conferences, round tables and newspaper articles. On this day, citizens of Azerbaijan, as well as tourists may visit the historical sites of the country for free. Free admission will be offered from 10:00 to 19:00 in the Ateshgah State Historical-Architectural Reserve, Yanardag State Historical-Cultural and Natural Reserve, Basgal State Historical-Cultural Reserve, Khinalig State Historical-Architectural and Ethnographic Reserve, Lahij State Historical-Cultural Reserve, Yukhary Bash State Historical-Architectural Reserve in Sheki and Kish State Historical-Architectural Reserve (including the Palace of Sheki Khans). Cultural reserves and historical sites in the regions of the country have attracted many visitors throughout the year. One of such examples is the Ateshgah Temple. The place that is associated with ancient history and religious beliefs is among the most attractive places of the country. The number of people visiting the place is increasing every year. Last year their number was 30,751, some 25,346 of which were foreigners. Tourists coming from Russia and Arab countries made up the main share of those who visited Ateshgah. Basgal settlement is located in the Ismayilli region at an altitude of 998 meters above sea level and is also a part of the state cultural and historical reserve. A number of historians believe that Basgal was founded in the 4th century. The small yet miraculous Khinalig village is located at the peak of the Caucasus Mountains, 2,350 meters above the sea level in the Guba region. The village was declared a State Historic-Architecture and Ethnography Reserve from 2007. There are a number of tours and guests houses in the village, which make trip to Khinalig more convenient for tourists. It is noteworthy that last year 56,742 tourists visited the Yukhari Bash State Historical-Architectural Reserve in Sheki, some 40,182 people visited Lahij State Historical and Cultural Reserve in Ismayilli, and 25,850 tourists came to see Kish Historical-Architectural Reserve in Sheki. The International Day for Monuments and Sites was proposed by the International Council on Monuments and Sites (ICOMOS) on April 18, 1982 and approved by the General Assembly of UNESCO in 1983. The aim is to promote awareness about the diversity of cultural heritage of humanity, their vulnerability and the efforts required for their protection and conservation.